Unique Elevators is a remarkable name of the industry engrossed in manufacturing, supplying, and providing service for wide range and types of Elevators manufactured in India. We have set industry standards with our best quality Auto Lift and Parking Lifts for the industry. We are popularly known as Auto Lift Manufacturers in Thane, Mumbai & Navi Mumbai and we even provide the best quality Hydraulic Lifts to our Clients. We provide Service that is remembered and forever praised in the industry. You can trust Unique Elevators beneath the facility of its assiduous staff, our products and services are thoroughly suggested in the market. Not only this, once we have manufactured our product, the lifts are completely checked and verified by the engineers. The quality and safety measures are systematically scrutinized before getting supplied at the doorsteps of our patrons. Available in a range of provisions, these are widely recommended in the industry owing to its quality and longer life value. Auto lifts are installed where ramps are considered to be space-in conservative for smaller buildings, usually in apartment buildings where frequent access is not an issue. We are the Auto Lift Manufacturers in Thane, Mumbai & Navi Mumbai. Our Auto Lifts are installed for moving heavy cars or maybe other vehicles, we are offering high tech Automobile Lifts for our respected clients. We offer these lifts in vivid range of specifications to gain clients’ utmost satisfaction. 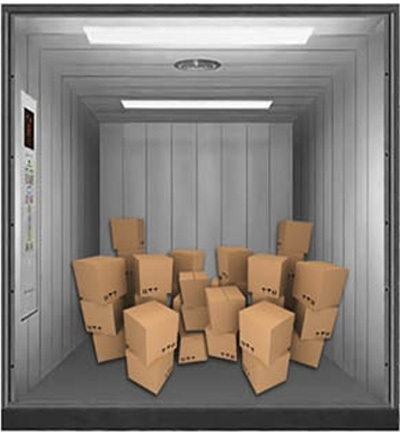 Highly efficient and premium capacity of these lifts entitles it to move various sized vehicles smoothly and safely. We being the remarkable Auto Lift Manufacturers in Thane, Mumbai & Navi Mumbai provide lifts that are made up of sophisticated manner, technologies and superior quality components that assure its reliability and high durability. The car platforms are raised and lowered in the similar fashion as haul elevator except for the fact that size and load carrying capacity of Lift platform is in conferring with the weight and dimensions of the largest vehicle i.e. to be transported between floors. We offer all types of vehicle elevators from 1500 kg for smaller cars to 5000 kg for bigger cars like SUVs and tempos. Over the last decade we have specialized the concept of vertical transportation of material through its innovative techniques and designs. In order to become one of the preferred commercial choices and the best Auto Lift Manufacturers in Thane, Mumbai & Navi Mumbai. we are engaged in providing various other services to our customers such as: Car Lifts and Parking Lifts. Car / Automobile Lift are becoming very popular for vertical car parking places, as there is perilous space shortage in major cities. 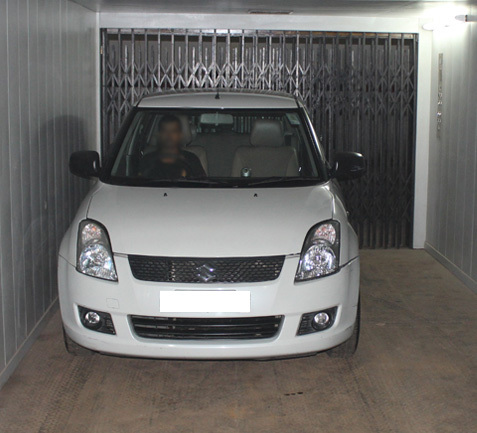 We take prevalent care while designing and manufacturing Car / Automobile Lift cabins, considering the load circulation over a small area while a vehicle is transported in a Car Lift. We offer a typical design that makes it easy to install and stiff the whole lift cabin within a day’s time. Our mobile lifts utilize the Acme threaded screw for added security. The Peak threaded screw is full proof, meaning that it won’t slip from its enlivening position. Since our lifts utilize the Acme threaded screw our lifts are free of hydraulic fluid and others. For over decades, we are your preferred supplier of heavy-duty mobile column lifts and accessories and called the best Auto Lift Manufacturers in Thane, Mumbai & Navi Mumbai. Our Customers trust us because we set our ethics high, and we’re always ready to go above and afar to provide unresolved service. From commercial vehicle lifts to bus lifts, we do it all, dutifully. Choosing us puts you in a great company, as convoy maintenance garages across the Mumbai use our heavy-duty mobile lifts. Choose us as your preferred Auto Lift Manufacturers in Thane, Mumbai & Navi Mumbai and service provider. There’s a reason we’ve been around for three decades, and plan on spearing around well into the future to assist you. Unique Elevators are the Top Auto Lift Manufacturers in Thane, Mumbai & Navi Mumbai and we manufacture all kind of lifts. We have a team of highly qualified engineers and Professionals supported by the mechanics trying new ideas and techniques for Manufacturing the Best quality lifts in Mumbai. We are the AMC Contractors and service providers in Thane, Mumbai & Navi Mumbai. We manufacturer and Supply the best quality Hydraulic Lifts, Hospital Lifts and Auto Lift in Mumbai. We have a strong Client base. Got trouble with your elevator? We have got your back. We provide highly reliable Lift maintenance and installation of Lift Services in Thane, Mumbai & Navi Mumbai. We have manufactured and Supplied many residential elevators. Our Service includes: Elevator Manufacturers, Lift Suppliers, Lift Installation in Thane, Mumbai & Navi Mumbai. Residential Elevators in Thane, Mumbai, & Navi Mumbai. Electric Elevators in Thane, Mumbai & Navi Mumbai. and Auto Lift Manufacturers in Thane, Mumbai & Navi Mumbai.